As I'm sitting here watching the Super Bowl with 15+ teenagers and a handful of adults, I ran across this on Flickr and it made me laugh more than the Super Bowl ads. You can just totally see this dude rockin' like it was '82. Bears fans are the best in the world. 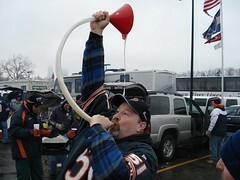 Da Bears! Very sad news for Giant's fans today. 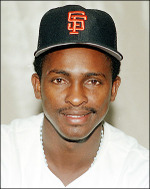 Shortstop (1984 - 1993) Jose Uribe died in a car accident in the Dominican Repulic early this morning. If you were a Giants fan in the '80's you'll remember chanting UUUUUU - Ribe, UUUUUUU Ribe when Jose would come to bat. He was always smiling, always positive (at least in my recollection). I'm very saddened at the loss. Jose, thank you for many, many great memories. Those of us "Stick" dwellers will miss you. Jose's son Juan is now playing for the Chicago White Sox. My well wishes to the entire Uribe family. Who would you be today, Timmy? 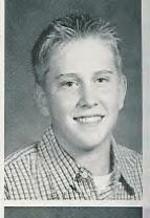 Timmy Volkert was 15 years old when he passed away in his sleep. He had an enlarged heart that nobody knew about and it gave out on him in early December 2003. I remember that day like it was today. The entire community was punched in the gut and we didn't catch or breath for days, weeks, months to come. Timmy was a hero, larger than life, to kids like my son who is now the same age that Timmy will always be, 15. He was a baseball superstar and could have been cocky and arrogant. But he wasn't. He was kind, a role model. When Payton was in 5th grade and Timmy in 8th, Payton remembers Timmy giving him a kind pat on the head and a "hey, what's up kid?" in in the hallway. In San Carlos there is a Tim Volkert award in Pony Baseball given each year to the kid who most exemplifies Tim's character; dedicated, positive, encouraging to other players, always a smile on his face, always willing to do whatever the team needs him to do, a leader. Tim got these characteristics from his parents. When we went to visit them shortly after Tim's passing, THEY hugged US, THEY comforted US. Not because we needed it, or asked for it, but because that's just who they were and how they were as a family. I'll never forget that cold December night we spent on the baseball field at Burton Park with hundreds of other community members and friends of Tim's. The candlelight memorial, the kids who played songs on their guitars and sang for Tim. The kids who cried for him and the adults who were trying to stay strong for them. 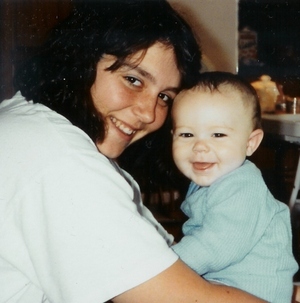 When Payton heard the song "Who You'd Be Today" and said, "Mom, this is totally a song about Timmy," I realized that Tim's death is still very much a part of who he his, who we are. But even more important than that, Tim's life is what we miss, what we strive to carry forward and carry with us every day. I know I haven't talked much about our love for Maryland Terapin Basketball, but just now, the Terp Women won the NCAA Tourney CHAMPIONSHIP! I'm watching with P and D. Big D, "Hubby" is at a soccer meeting and will not know that the game went into overtime and that the lady turtles emerged victorious, but he will watch the TiVo recording and he will be most pleased. Especially since the men's championship last night was B-O-R-I-N-G!!!!!!! I just read that Kirby Puckett suffered a stroke. My heart goes out to him and his family. He's a great guy and was such a great ball player. He is really the kind of guy that I would want my kids to look up to. He is humble, sweet, caring and just an all-around stand-up guy. It's true...it has finally happened. The boy toy of US soccer is going to Germany. No longer will the women (and girls) of the SF Bay Area get to see this specimine of a soccer player live and up close. "U.S., MLS star doing 'right thing' Associated Press Landon Donovan is leaving Major League Soccer's San Jose Earthquakes after four seasons and will return to Bayer Leverkusen in Germany. The 22-year-old forward, voted the top player on the U.S. national team for three straight years, will rejoin the Bundesliga team in January after the end of a sharing arrangement between MLS and Bayer Leverkusen." I know that there aren't many soccer fans out there, but take it from this convert, this is a HUGE loss to American Major League Soccer (the US will still get to have Landon for the men's US team, Olympics, World Cup etc.). 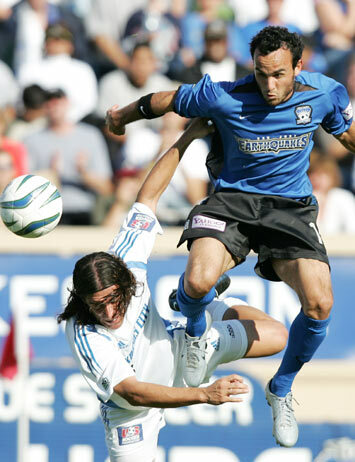 Landon has played the last 4 years for the San Jose Earthquakes (for which we are season ticket holders) and it just won't be the same without him. We look for comfort in times like these, I guess I'm seeking comfort in the blog world. A sad, sad day indeed.